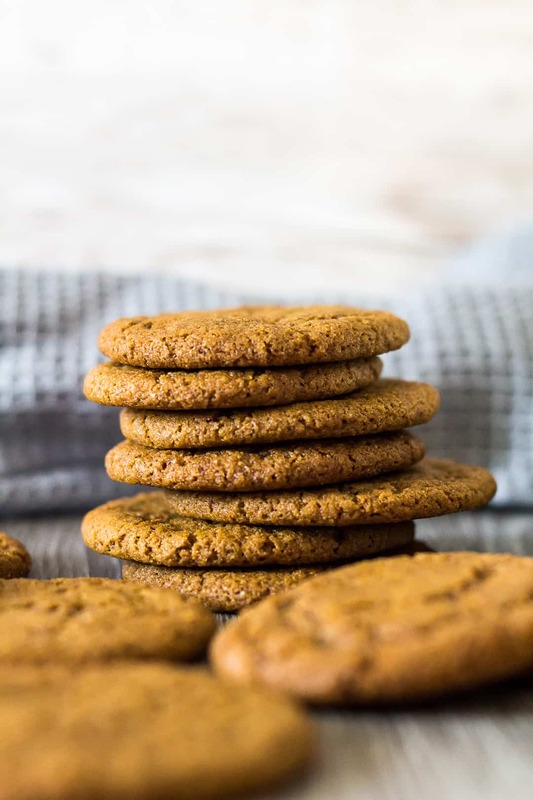 Homemade Gingernut Cookies – Deliciously crunchy and chewy ginger-spiced cookies that are better than store-bought. Perfect for dunking in tea or coffee! 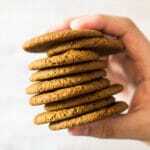 I LOVE gingernut biscuits (cookies), especially with a nice, hot cup of tea. If I’m not careful, I could easily eat half a packet by the time my tea’s gone… they may be just as moreish as Jaffa Cakes! Check out my Homemade Jaffa Cakes. 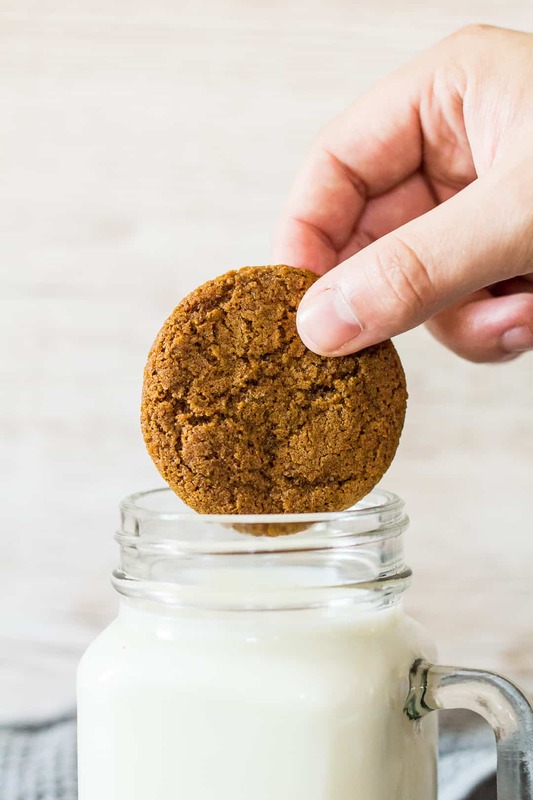 To make these homemade ginger cookies, simply whisk together the flour, baking soda, spices, and salt. In a separate bowl, whisk together the butter, sugar, black treacle, and egg. Roll the dough into small 0.5oz balls, and place onto a baking tray lined with parchment or a silicone mat. Bake for 10 – 12 minutes until firm and cracks have formed on top of the cookies. For soft and chewy cookies, bake for 10 minutes. For a more crunchy cookie, bake for about 12 – 14 minutes. Allow the cookies to cool for 5 minutes before transferring them to a wire rack to cool completely. made for sharing. This recipe makes about 48 cookies – perfect for gift-giving! Yep! 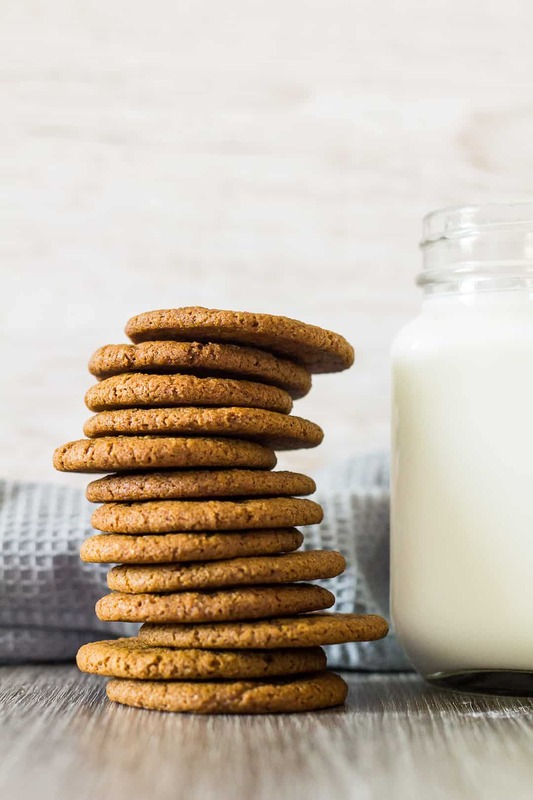 This recipe makes about 48 – 50 cookies. This is because you’ll be rolling the dough into tiny 0.5oz balls, which spread out into perfectly shaped, dunkable cookies. These cookies can easily be stored, too. Keep them in an airtight container for up to a week. Want freshly baked cookies every time? Cookie dough balls can be kept in the fridge for up to 5 days, or frozen for up to 3 months! 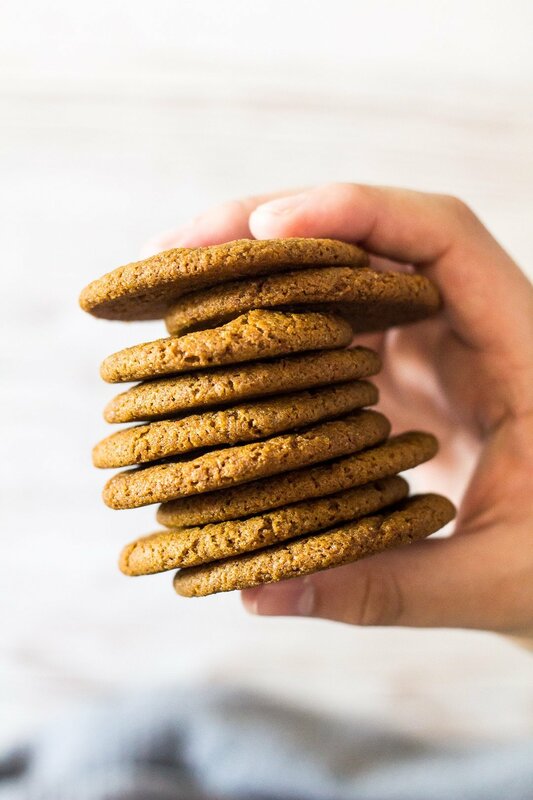 Deliciously crunchy and chewy ginger-spiced cookies that are better than store-bought. Perfect for dunking in tea or coffee! Whisk together the flour, baking soda, spices, and salt. Set aside. Whisk together the butter, sugar, black treacle, and egg until combined. Add the dry ingredients, and fold in until completely combined. Roll the dough into 0.5oz balls (the dough will be very soft), and place them onto the prepared baking tray. Bake for 10 - 12 minutes. Allow to cool for 5 minutes before transferring them to a wire rack to cool completely. 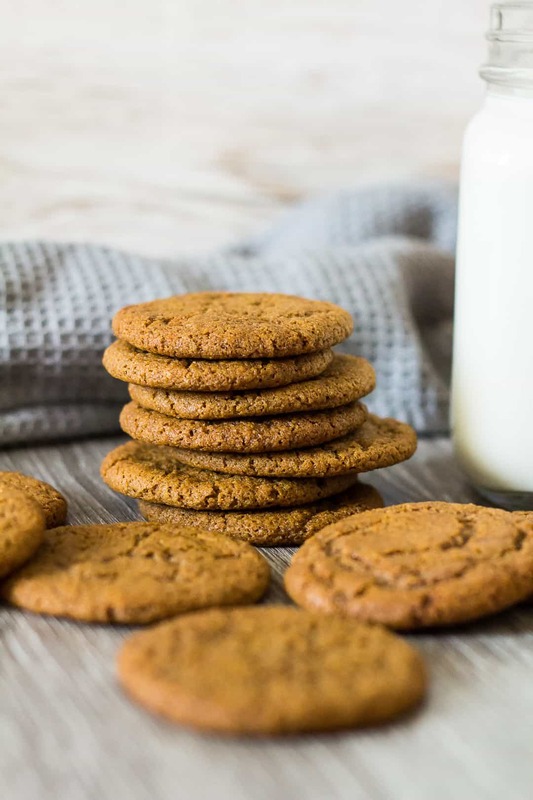 *Light or true molasses is much sweeter than blackstrap molasses (which is very bitter), and is much preferred in baking. Cookies stay fresh, in an airtight container, at room temperature for up to 1 week. It’s so funny that you posted these Marsha as I was just thinking about gingerbread cookies myself. Honestly I don’t know why they are usually associated with Christmas as I think they would make the perfect cookie year round.